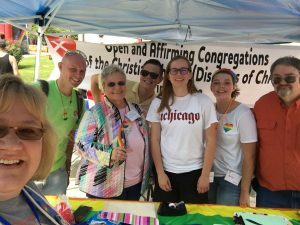 On Saturday, August 25, First Christian Church, Bloomington and North Christian Church, Columbus shared a booth at Bloomington PrideFest. Both congregations agreed it was great to collaborate on such a venture: to fellowship with one another and to spread the message to the LGBTQ+ community that the Christian Church (Disciples of Christ) is a welcoming place for all people! FCC is located in the heart of downtown Bloomington, Indiana, and PrideFest was literally surrounding their building. 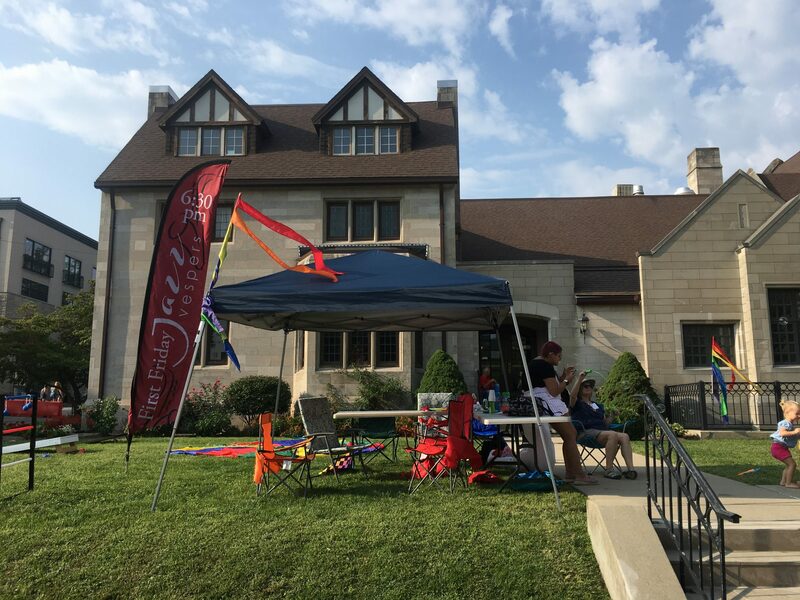 FCC capitalized on their convenient location by setting up yard games (with prizes!) for children and families, and by opening their sanctuary for persons to spend a few minutes in quiet meditation and prayer. 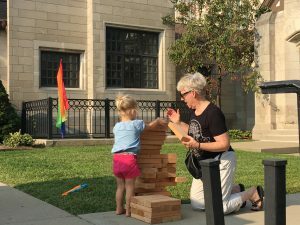 Several PrideFest attendees did just that! 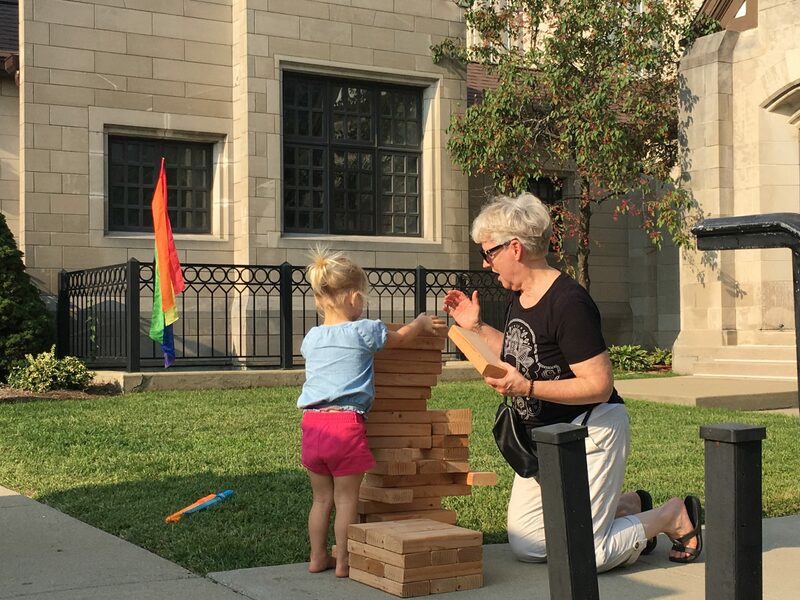 This is the third Pride celebration this year for North Christian Church, Columbus! 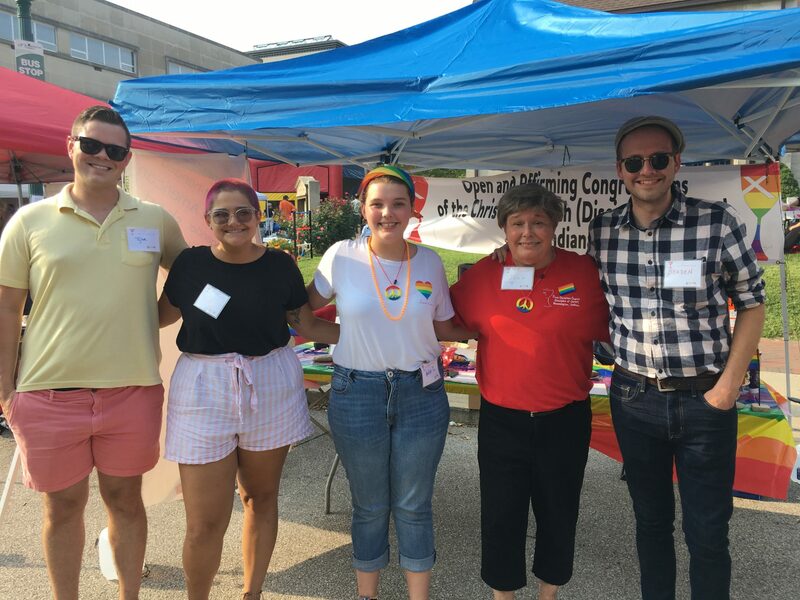 They had previously participated in the first-ever Columbus Pride event in April and collaborated with all of the other Indiana O&A Disciple congregations for the Indy Pride in June. 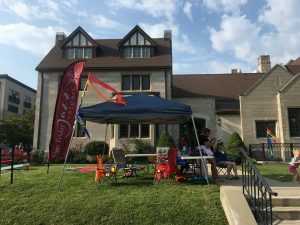 They had so much fun fellowshipping with other Disciples in Indy, they contacted FCC, Bloomington about doing it again in August! Both congregations collected the contact information for several persons interested in learning more about their church’s activities. 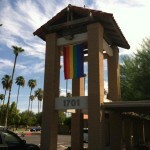 Many PrideFest attendees expressed gratitude for the witness the Disciples provided.